Oh yeah, back in my day it was nothing like what the fleet was and it was stupid. Good move! Wow! The last time I saw John, he and Mo were just coming out of (or into) the toddler stage (this is San Diego Circa 1994?). How proud you must me, mom! 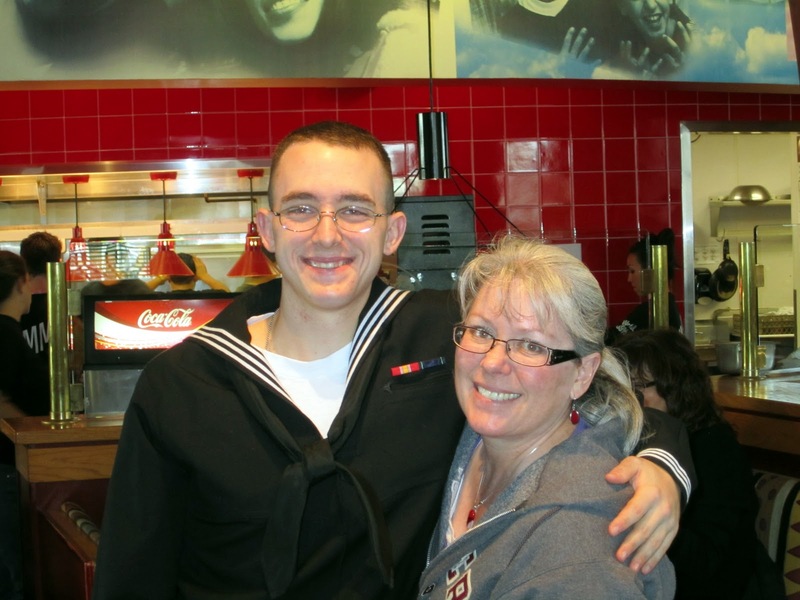 John, Anchors Aweigh and best of luck in A-school. Remember the first rule of electronics: They run on smoke. If the smoke gets out, you can't get it back in and the equipment is then referred to as junk. Congrats and best of luck to SB in Advanced Electronics School. My, he DOES look like a sailor! Recruits now participate in what is basically a final exam called "Battle Stations." The Smart Boy was the one who managed to save the Kobayashi Maru while assuaging the Klingons, wasn't he? I knew it! Congrats to the Smart Boy! And congrats to his Smart, Hot Parents! BTW, guess why my father happened to be at Great Lakes when I was born (he'd already been in the Navy for about eight years)? Advanced Electronics School. I think he was brushing up on his knowledge, since electronics was his specialty. Congrats. Another proud defender of freedom. So proud of the Smart Sailor myself. All he needed to blossom was a little structure, and what I'm most admiring of was that he gathered up his courage and did something really hard. Good for you! "being put through the wringer" comes from the days before automatic clothes dryers, when women squeezed as much water as they could out of the clothes with... you guessed it... a wringer. Congrats to your son, AND to you. It's amazing to see a young man make that commitment. I'm still a bit pensive about the whole thing, in addition to being overflowing with parental pride.